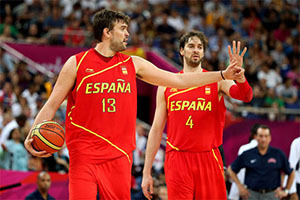 As the host nation of the 2014 FIBA Basketball World Cup, there is a great level of expectation placed on Spain. The national team has come so close to major basketball success in recent years and this tournament could be the one that finally takes them to a higher level. There will be plenty of teams that think 2014 is their year for success but when it comes to making the most of a golden opportunity, this is the time for the Spanish basketball side to show what they are really made of. The Spanish squad are tipped to be the team that can topple the USA team and there is going to be a great degree of familiarity for the US side when they square off against the Spanish side. This is because there are a host of NBA players included in the squad for the big event which is set to get underway on the 30th of August. At the heart of the team will be brothers Marc and Pau Gasol. However, there will also be four other NBA players included in the squad for the Spanish attempt to life the trophy. Serge Ibaka, Jose Calderon, Victor Claver and Ricky Rubio are all players that ply their trade in the US who will be looking to get one over on the reigning World Champions. There will also be other Spanish players that are instantly recognised by US fans, coaches and players. This is because Sergio Rodriguez, Juan Carlos Navarro and Rudy Fernandez are all Spanish players that have played in the NBA. 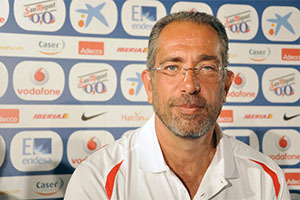 The coach of Spain, Juan Orenga has admitted that this is a deliberate ploy. It should be remembered that the NBA is the biggest basketball league in the world and it is well known for grabbing so much of the greatest basketball talent from around the world. Any country that is keen to compete at the biggest tournaments is likely to have the best players and this inevitably means that some NBA players will be in a team. The fact that Spanish players have plenty of experience of pitting their wits against their US opponents will hopefully stand them in good stead and this is definitely what Orenga is hoping for. It is going to be a tall order for any team to effectively compete with the US over the course of the tournament but players who know they can go toe to toe with their US opponents will have no reason to feel at a psychological disadvantage. This is definitely an area where the Spanish team may be better suited to putting up a fight this summer. Given that the US team has managed to defeat the Spanish side in the last two Olympic basketball finals, any advantage that they can grab is going to be of benefit and merit. With home advantage and the crowd cheering them on, this may finally be the time the Spanish team takes the gold.